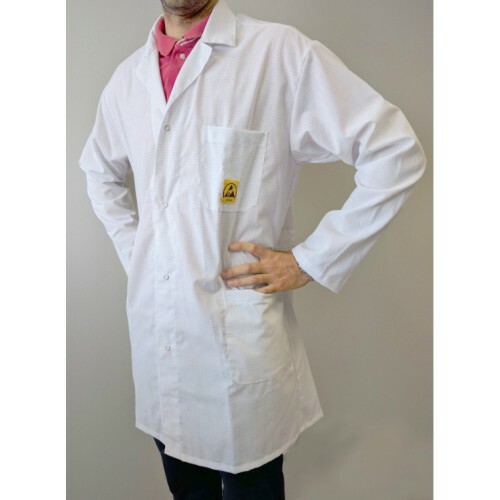 Unisex ESD Coat mixed fabric white version, made in Italy, item BF000670. Excellent fit pocket on the side of the heart buttons, sewn behind martingale double buttons on the cuff. ESD applied logo on the breast pocket or on request in other locations. Sizes available from XS to XXXL, other sizes availble on request.